Below are our picks for 2019's best 0% introductory offers. 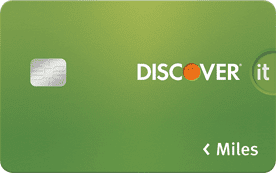 These cards allow cardholders to carry a balance interest-free for a number of months before the regular APR kicks in. Our reviews follow strict editorial guidelines and are updated regularly. Ready for a great low interest rate on a credit card? 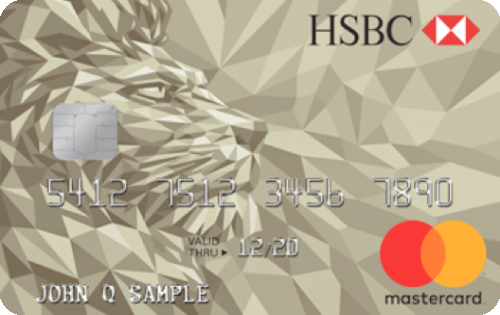 Below we've compiled a summary of all the top 0% introductory offers from the major card issuers, along with our expert ratings for each offer. To read more about a particular card, simply click on its name to visit the issuer's official website. Credit cards with 0% introductory rates are alluring — and for good reason. The ability to borrow money from a credit card company without any interest fees being applied to the balance is certainly an attractive prospect. Depending on the account, you may be able to enjoy a year or more during which no interest is added to your purchases. To obtain a 0% Intro APR credit card offer — and use it effectively — it’s important to know at least a few key facts about these products. 1. What is an Intro APR Period? “Intro” is short for introductory, and it’s an indication that the deal occurs at the beginning of the account’s lifespan. In other words, intro-APR offers are time-sensitive deals that are typically only available for new accounts. The acronym “APR” stands for annual percentage rate. In the case of credit cards, the APR refers to the interest rate that the credit card issuer will charge on balances that are not paid in full by their specific due date. Almost all credit card accounts come with interest-free grace periods that give you at least 21 days to pay your balance to avoid interest fees. The grace period is the time between when your statement closes and when the bill for that statement is due; basically, if you pay your full statement balance before the due date, you won’t be charged interest. If you don’t pay off your full balance or you carry over a balance from a previous billing cycle, you’ll be charged interest on that balance at the rate outlined in your terms and conditions documentation. You’ll continue to accrue interest until your full balance has been paid. Unless, of course, you’re enjoying an active 0% APR interest rate offer. As the name implies, these offers effectively drop your interest rate to 0%. This means you won’t pay interest on your new purchases even if you carry a balance beyond your grace period. Just to be clear, you are still responsible for the debt you incur as well as the monthly payments, but no interest will be added to the amount you owe during the introductory period. 2. Can an Introductory APR Offer Help with Credit Card Debt? While an intro APR offer that’s only good on new purchases won’t impact your existing credit card debt, it can be useful if you want to reduce interest fees on new purchases while paying down existing debt. On the other hand, many credit cards that offer an introductory rate on new purchases also apply the same introductory offer to balance transfers. This allows you to transfer an existing balance to the new card and enjoy a promotional period of 0% interest on the transferred balance. Balance transfers can be a good way to save if the interest rate you have on an existing card is prohibitive or you’re having trouble reducing debt as quickly as you’d like. The downside to balance transfers is that most credit cards will charge a balance transfer fee of 3% to 5% of the total transferred amount. That said, transfer fees can be worth paying if an introductory APR offer will significantly reduce your interest rate. For example, suppose you owe $10,000 on a credit card with a 22% APR. If you make monthly payments of about $935, you’d pay the balance in full after a year, but you’d also pay a total of $1,231 in interest fees. However, if you were to transfer the balance to a credit card offering 0% APR for 12 months and you paid it off within one year, you would save more than $700, even after paying a 3% to 5% balance transfer fee. There are a few catches, though. To be eligible for a 0% Intro APR balance transfer credit card, you will need a healthy credit rating. You have to be conscious of account management, too. If you pay late, the interest rate will escalate prematurely. Plus, any debt that you carry over after the end of the introductory period will be subject to the regular interest rate, and it could be higher than what you had on the original account. 3. How Long is the Typical Introductory Period? Introductory periods on 0% Intro APR credit card offers range dramatically. Legally, credit cards cannot offer promotional interest rates with periods that extend less than six months, so the shortest introductory APR offer you’ll find will be six months long. There’s no cap on what they can offer, however, and it’s fairly easy to find 0% APR deals of up to 21 months long. Keep in mind that cards with extremely long introductory periods will likely offer few additional perks. These cards will also tend to require at least good credit, with excellent credit required to receive the best credit limits. 4. 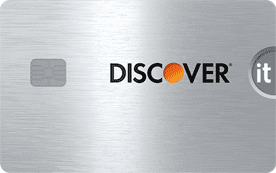 Which Credit Card Offers the Longest Intro Period? The interest rate offer with the longest introductory period will vary greatly from month to month, as credit card issuers are almost constantly changing their card offers to better compete with other issuers. So, the best offer this week may not be the best offer next week. In general, the best introductory APR deals come from cards that issuers intentionally design to be used for the purpose of saving money on interest. That’s why the longest offers will typically come from cards that don’t offer additional benefits, like purchase rewards, nor will these cards usually offer a large signup bonus. If you want to both earn rewards and enjoy a 0% interest offer, the promotional period will likely be much shorter — 12 to 15 months is standard — and the signup bonus will often be much smaller than similar cards without 0% offers. 5. What Happens When the 0% Introductory APR Expires? No matter how long your introductory offer lasts, of course, it will expire eventually, so it's important to know what your new APR will be when your offer ends. Not only will this be the rate charged any balance that remains after your promotional period, it will also be the rate for any new balances you carry in the future. For example, if you make $2,000 worth of purchases during the introductory period and have a $200 balance at the end of the promotional period, you’ll start accruing interest on that $200. However, some credit cards — primarily store credit cards — will offer “special financing” or another form of promotional rate that uses deferred interest. If your promotional interest rate was from an offer with deferred interest, you’ll need to pay off your full financed amount before the end of the promotional period or you’ll be charged interest on the whole amount from the time you made the purchase. So, with a deferred interest offer, if you financed a $2,000 purchase, you’ll need to pay off the full $2,000 before the end of the promotion. If so much as 2¢ is left, you’ll be charged interest on the entire $2,000. 6. How Do You Find the Ongoing APR/Regular Purchase APR? The easiest way to find the regular purchase APR (sometimes called the ongoing rate) for your credit card is to check your card statements, which are required to show your interest rate alongside your balance and minimum payment amounts. Alternatively, you can check your cardholder agreement, which will usually list your regular purchase APR, as well as any other rates, such as those charged for balance transfers or cash advances. Your cardholder agreement is sent out along with your new card and is available digitally through your online banking platform. For a card you don’t already have, the general interest rate range available for potential cardholders will be listed in the card’s Terms & Conditions — also called the “Disclosure,” or “Rates & Fees” documentation. These documents are generally found on individual card pages located on an issuer’s website. Rates should also be disclosed during the application process. 7. Is the Purchase APR Always the Same as the Balance Transfer APR? For most credit cards, the interest rate you’re charged will vary based on the type of transaction that led to the balance, be it a new purchase, a balance transfer, or a cash advance. Some credit cards also charge what’s known as a penalty rate, which is a higher purchase APR that kicks in when you make a late payment. In practice, many cards charge the same APR for new purchases and balance transfers alike, but there is no requirement for them to do so. Introductory APR offers can apply to both new purchases and balance transfers, or only to one or the other. The APR for each type of transaction will be listed in your card’s terms or rates and fees documentation. 8. Will an Introductory Offer Also Apply to the Balance Transfer APR? When it comes to introductory APR offers, many will apply to both new purchases and balance transfers, offering the same 0% rate and the same promotional period. However, that’s not always the case. 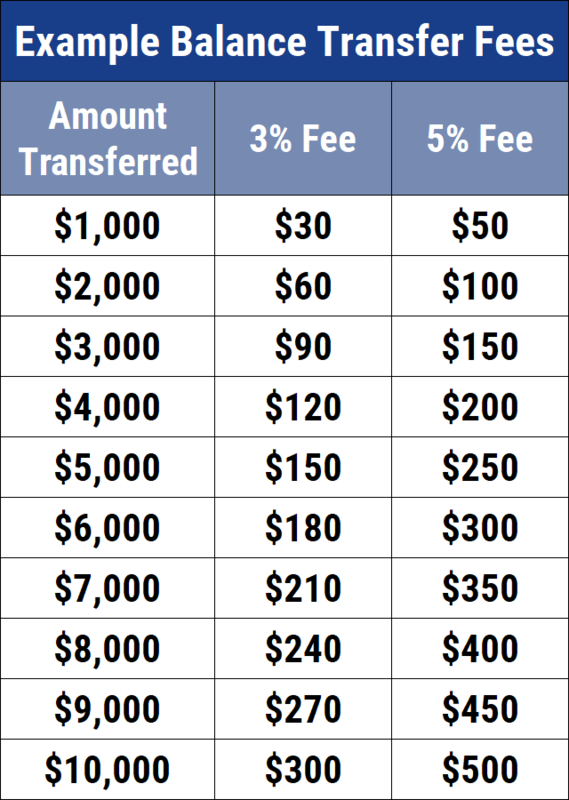 Some offers may have different rates and/or promotional periods for each transaction type, or the offer may only apply to either new purchases or balance transfers, but not both. Some introductory offers will only apply to one type of transaction, such as only being for new purchases or balance transfers. For example, a credit card may offer 0% APR for 12 months on new purchases, while providing only six months of 0% APR on balance transfers. Similarly, a card could offer 18 months 0% on balance transfers, but no introductory APR offer for new purchases. And so on. 9. Will an Intro APR Offer Apply to a Cash Advance? In almost all cases, a 0% intro APR deal is good only on purchases and/or balance transfers, and it will not apply to cash advances. Moreover, the interest rate is often higher on cash advances than it would be for purchases (when the regular rate eventually starts up). Additionally, cash advances usually have a transaction fee that ranges from 3% up to 8% of the total advance. One reason cash advances tend to have higher interest rates is the risk; credit card cash advances are usually used as alternatives to short-term loans, and that can be an indicator of financial trouble. Another reason cash advances are more expensive than purchases is that transactions are the main source of revenue for credit card issuers. When you use your credit card at a store or online to buy something, the retailer pays a merchant fee to the credit card company. By extracting cash, you bypass this fee, so the credit card issuer passes it on to you. Not only that, but interest starts to accrue as soon as you take the money out. In general, the only exceptions to the rule are found in credit unions, as a small handful of credit union issued credit cards may offer intro-APR deals for cash advances. Some of these cards may also include waived cash advance fees, but check the terms and conditions to be sure. Of course, as with any introductory rate deal, these offers will typically expire after six months or a year, so you should also check the rate you’ll be charged once the promotional period expires. 10. 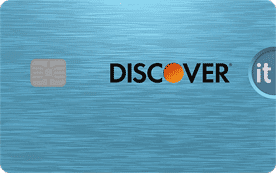 Which Credit Card Companies Have the Best Introductory Rates? Each credit card issuer offers a variety of different products, and most offer their own version of a 0% Intro APR credit card. You can’t get a lower interest rate than 0%, so to identify the best account for you, assess the other terms and perks that are associated with the card. Long introductory time frames. At least 12 months of no interest being charged is ideal. Low regular interest rates. Know what the rate might climb to when the introductory period expires. Excellent benefits. Some 0% Intro APR credit cards are also rewards cards. With them, you can accumulate cash or valuable points as you charge. For example, travel rewards card may come with free checked bags and other desirable perks. No annual fee. If you want to enjoy a credit card at the least possible cost, a card that does not charge an annual fee might be for you. There are circumstances where you can get more out of the benefits than the cost of the annual fee, but if you want to keep it simple, you may just concentrate on the accounts that don’t assess this charge at all. Of course, the best features for you will vary based on your needs and qualifications. The lower your credit score, for instance, the harder it will be to qualify for a card with a top APR offer. 11. Can You Earn Cash Back or Rewards While Using an Intro APR Offer? One of the great things about the introductory APR offers on most regular credit cards is that they don’t affect your ability to earn rewards. So long as your card already offers rewards, your purchases should earn rewards even if you’re enjoying a 0% APR deal. Keep in mind that you’ll generally only earn rewards on net purchases; if you make any returns, you’ll forfeit those rewards. There are two main exceptions to earning rewards during an introductory APR deal. The first is in the case of balance transfers; in the vast majority of rewards programs, balance transfers won’t earn rewards, with or without an interest rate deal in place. The other exception is for some store credit cards that offer special financing. In these cases, you’ll typically have a choice between receiving special financing or earning rewards on your purchase, but not both. For these offers, you should do the math to see if the interest rate savings is worth losing the rewards (or vice versa). Keep in mind that many special financing offers use deferred interest. 12. 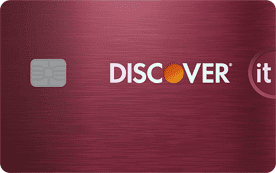 What Are the Best Rewards Cards with a 0% APR Intro Period? There are plenty of rewards cards that also come with a 0% APR intro period. Determining which deal is the best for you is highly subjective because the “best” card will be based on your individual needs and qualifications. 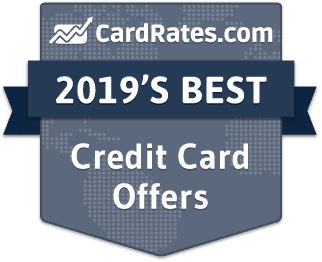 For example, if you need a 0% APR deal so you can make a large travel purchase, then you’ll want to find a card that offers both an introductory APR deal and travel rewards. Similarly, if your main objective is to spread out payments for a large purchase as long as possible — while you also earn a few rewards — then you’ll likely want to choose the card with the longest promotional period. 13. Do Any 0% APR Credit Cards Come with a Signup Bonus Offer? 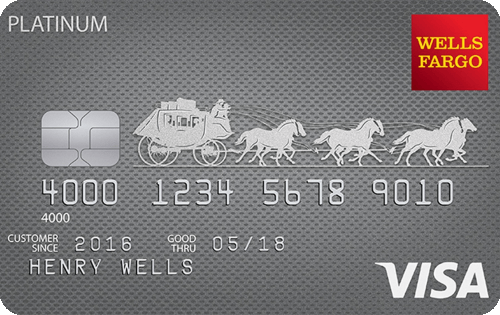 Many cards these days come with signup bonuses for new cardholders. A signup bonus offer is usually a lump sum of cash or rewards that cardholders can earn after meeting certain spending conditions — usually by hitting a minimum spending threshold within a set period of time after opening the account. While the credit cards with the longest promotional periods often won’t offer any rewards-based signup bonuses, that’s not true of all cards. 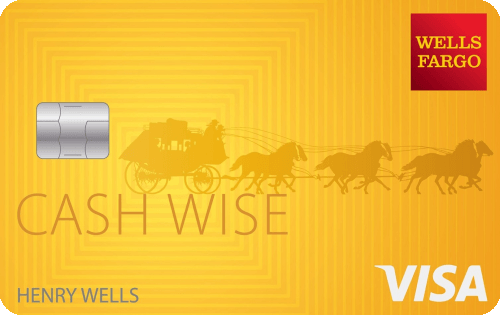 Many cards offer both a 0% intro APR and a signup bonus of cash back, points, or miles. That said, these bonuses are usually much smaller than those offered by cards without introductory interest rate deals. You can find credit cards that provide both an introductory 0% APR offer and a rewards-based signup bonus, but don’t expect that bonus to be as large as the bonuses offered by cards without interest rate offers. Only new purchases will count toward the spending requirement for most signup bonuses, so balance transfers won’t be eligible. Most cards also limit eligible spending to net purchases, meaning any returns could impact your progress toward a spending requirement. 14. Do You Need to Make a Monthly Payment with Intro APR Offers? Although you won’t be charged any interest on purchases when you use the card during the introductory period, you will still have to adhere to the account’s payment terms. This means making at least the minimum required payment each month before the due date for that statement cycle. Every month you will receive an account statement that lists the details of your charges. It will specify where you used the card, the transaction amount, the grand total of what you owe, the minimum amount you’re required to pay that month, and the date by which you need to make that payment. While it varies by card and issuer, in general, the minimum payment is calculated as 3% of the balance or $35, whichever is greater. As long as you make at least the minimum payment, your account will be considered in good standing and you won’t be penalized with a fee (or credit damage if you skip the payment cycle entirely). Additionally, making at least the minimum payment by the due date will ensure that the 0% APR introductory rate does not expire prematurely. Of course, that minimum amount is just that — the minimum. It is not a wise idea to get into the habit of only paying the lowest amount possible, even if you’re not accruing interest thanks to an introductory deal. That’s because the minimum payment isn’t designed to pay off your debt in a timely manner, it’s designed to earn interest fees for the issuer. So, unless you can make a lump-sum payment to clear your debt at the end of the promotional period, the regular interest rate will kick in — and you will be in trouble. Since the regular rate can easily be over the 20% mark, even with good credit, you may be faced with an overwhelming balance that will become quite expensive with the new interest rate. In other words? The freedom that a 0% Intro rate credit card provides is fantastic, but maintain steady payments and escalate debt reduction as the expiration date nears. 15. What FICO Score Do You Need to Qualify for Intro APR Credit Card Offers? Offering unsecured credit to someone is risky; offering unsecured credit to someone without even charging interest is really risky. Should a cardholder with a 0% APR offer rack up significant debt, then default on that debt, the card issuer hasn’t earned a penny on that balance, making the loss even more significant than if the issuer had been earning interest fees on the debt for months. As a result of the risk involved, most issuers require at least good credit to qualify for a card with a decent introductory APR offer. That said, consumers with fair credit and students can also find so-so introductory deals, particularly from local credit unions. If you have a low credit score, it will be a big challenge to find an unsecured credit card that offers 0% APR. If your scores fall short of what’s required to obtain the 0% Intro APR card of your dreams, don’t despair. Six months to a year of positive credit behavior can do wonders for a low credit score. 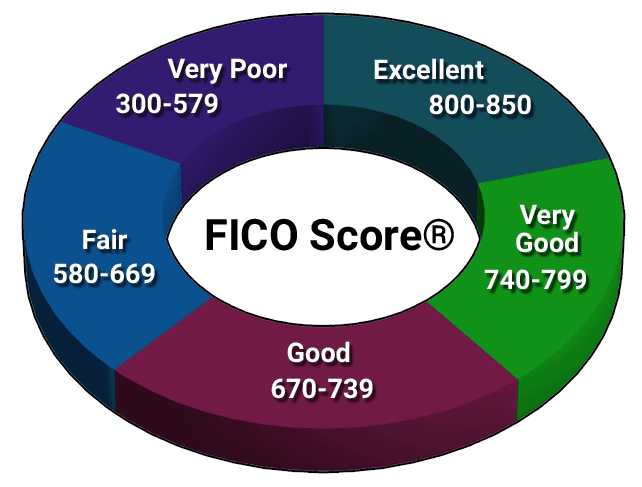 The two weightiest factors in FICO score calculations are payment history and credit utilization. Combined, they make up 65% of the score. By ensuring you pay all of your debts on time, clear up collection debts and any mistakes, and pay down your outstanding balances, you can improve your credit score and become eligible for a card with a good introductory APR offer. 16. Do Intro APR Credit Cards Charge a Penalty APR If You Make a Late Payment? When you’re trying to keep track of about a million different things, making a late credit card payment can be all too easy. Unfortunately, if you’re currently enjoying an introductory APR deal, that late payment could be a disaster. That’s because even a single late payment can trigger the credit card issuer to cancel the deal, reverting you back to the regular APR immediately. Moreover, some credit cards also have penalty rates, which is an even higher APR that will apply to your purchases for six months or more. And, yes, penalty APRs can kick in even if you have an APR deal in place. Additionally, don’t forget the late fees. In the majority of cases, the credit card issuer will charge you a late payment fee, which is typically between $25 and $35. Skip an entire payment cycle and you’ll also damage your credit score. The information on this page was reviewed for accuracy on February 21, 2019 .